As the 2020 presidential election already heats up (too soon, for some of us! ), it is important that we are clear on where candidates stand on the important issues. We also need to beware of strident propaganda that distorts the truth, raises irrational fears, and blurs the picture. Here we will focus on Massachusetts Senator Elizabeth Warren, who recently announced that she was forming an exploratory committ ee about her possible presidential run. Vox author Matthew Yglesias also points out that “corporations [traditionally] sought to succeed in the marketplace, but they also recognized their obligations to employees, customers and the community.” This is no longer generally true; rather, corporations aim their goals toward enriching shareholders, according to Warren. 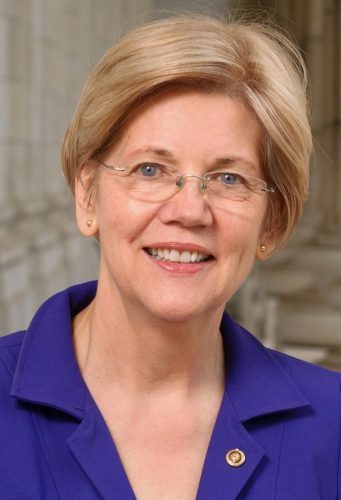 Throughout her career, Warren has understood what a healthy relationship between American workers and American businesses looks like based on “the more egalitarian era of American capitalism post-World War II” (and, I would add, the generally successful record of the Nordic and other nations in Europe); this Accountable Capitalism bill, along with other initiatives Warren has taken, attempts to restore that balance, for the sake of economic prosperity and security. Among some of the ways to restore balance would be eliminating large financial incentives that push CEOs into supporting shareholders rather than reinvesting in business and curbing corporations’ political activities. No matter what form policies or regulations take, or what label their proponents use, they must work for the vast majority of Americans. It would also make sense if they were patterned as much as is possible on similar initiatives that have been tested and even perhaps perfected elsewhere. In other words, we Americans love to be the “first,” but that is not always the best way to achieve results: we do not always need to reinvent the wheel in order to make progress for the common good. We must keep in mind that most Americans, according to many polls over the past several years, generally want what Democrats and progressives are offering – not what Republicans and conservatives are offering. Progressives must be strategic, smart, media savvy, and bold in presenting their ideas to voters. We cannot fall into the right wing’s traps of distortions, propaganda, falsehoods, fear tactics, rhetoric and downright lies about the issues – such as automatically labeling something “far left” or “socialist” to cloud the benefits of what is actually being proposed. We must keep ourselves well informed and find ways to set records straight whenever possible. The mainstream and progressive media, which are generally (in my opinion) on the correct side of the issues, cannot succumb to pressure to “balance” their news coverage in ways that distort or neglect candidates’ stances. In the 2016 election cycle, as Rosie O’Donnell pointed out on The Beat with Ari Melber on MSNBC in August 2018, the mainstream media “treated Hillary Clinton and Trump as ‘equals….’ Mainstream media treated him like a legitimate candidate as if they were two equals, Hillary Clinton and Donald Trump, and it was falsehood from the start.” O’Donnell argued that this posture helped Trump win the election; we cannot let that happen again, whether Democratic candidates are up against Trump or (one hopes, through Trump’s resignation or impeachment) another Republican. I would urge Democrats and supporters of Democratic policies and candidates to reduce infighting in the presidential race as much as possible. Again, this is often a trap set by the media – who, we must admit, are in the business of gaining ratings, viewers, listeners, and readers. Ethical journalists and their work are vital to our democratic republic, but they are apt to ask questions of candidates that attempt to compare candidates in ways that are not helpful. Rather than pointing out the faults and shortcomings of fellow Democratic candidates, or even harping on the many egregious actions of Trump and his administration, those running for the presidency should focus on issues and policies that Americans already support. Some of those issues and policies include universal health care, renewable energy, ethical behavior, elimination of conflicts of interest, clean air and water, job security, racial and social justice, income equality, and social safety nets such as Social Security, Medicare and Medicaid. Focusing on these items will inevitably (in my opinion) challenge radical right-wing ideologies in the minds of most Americans. Elizabeth Warren is one of many Democrats potentially running for president in the 2020 election cycle. Like all the others, she deserves a fair hearing, for the sake of our society. Lakey, George. Viking Economics: How the Scandinavians Got It Right – and How We Can, Too. Brooklyn and London: Melville House, 2016. Partanen, Anu. 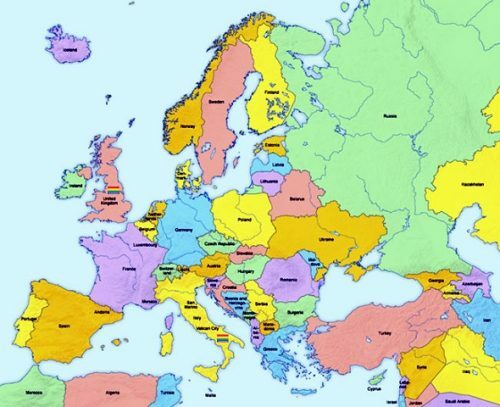 The Nordic Theory of Everything: In Search of a Better Life. New York: HarperCollins Publishers, 2016. Reich, Robert B. Saving Capitalism: For the Many, Not the Few. New York: Vintage Books, 2015.